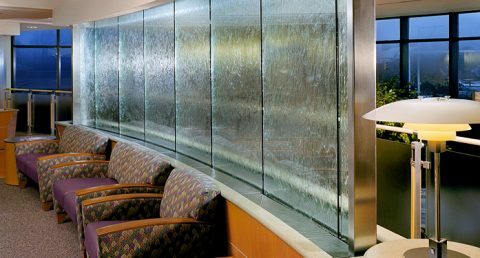 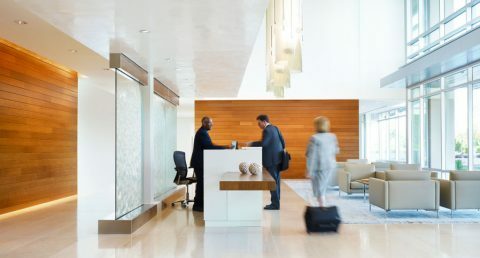 A luminous glass water wall makes quite an impression at this law office in Las Vegas. 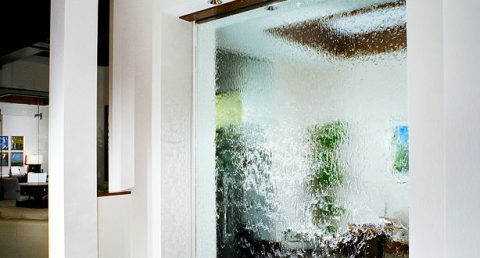 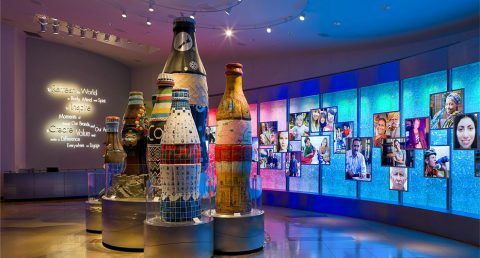 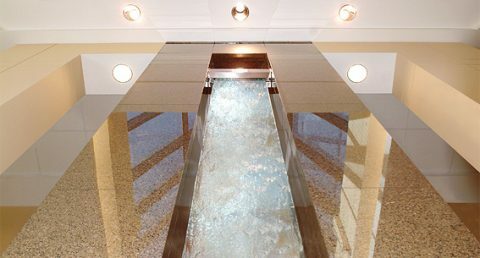 The 11′ tall by 5′ wide clear glass waterfall was designed with architect Gerald Garapich. 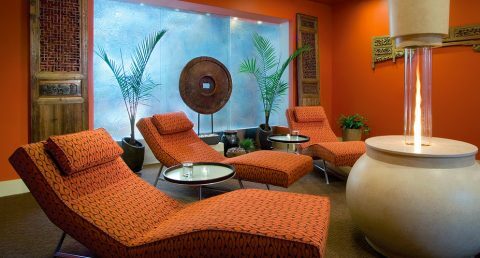 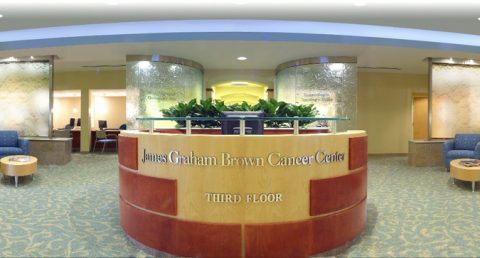 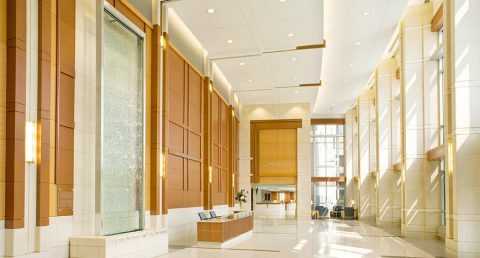 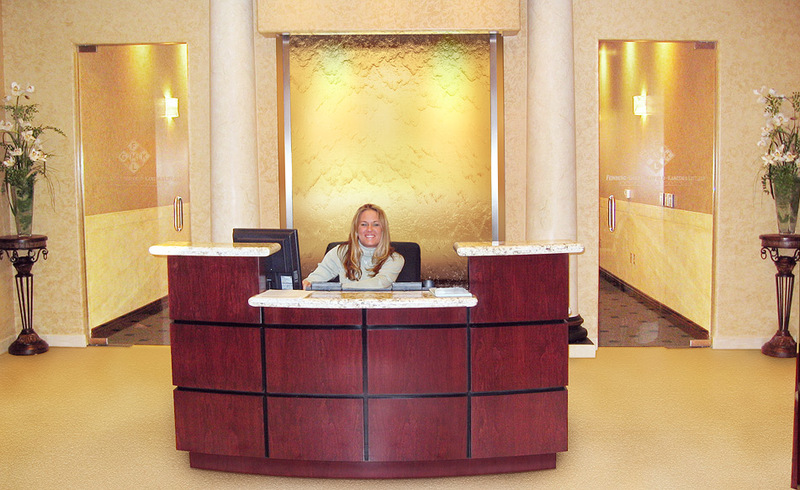 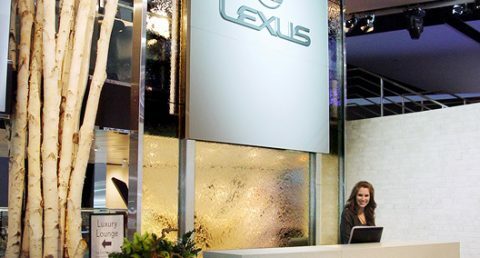 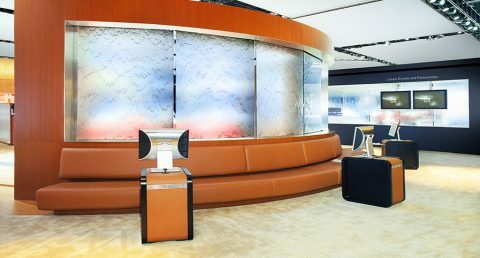 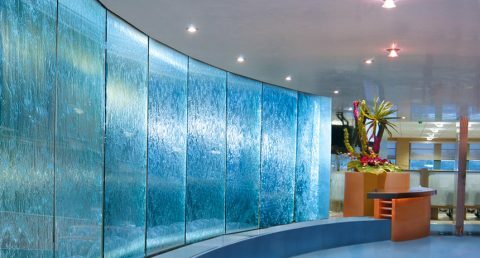 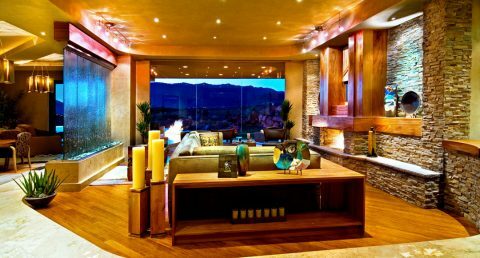 Warm custom accent lighting was used to enhance the radiance of the water element and create a welcome reception area.